Many places of worship have, as part of their congregation, organists, cantors, and/or various other musicians who are familiar with your officiant – & often times they will be your logical ceremony music option. Prerecorded ceremony music on our small stereo sound systems sounds fantastic. When your tastes, circumstances or budget dictate this option, our personell can attend to your music, and flawlessly make for you an elegant ceremony with a sound that is expertly controlled and totally professional.. 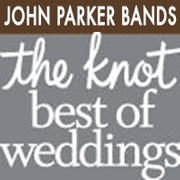 When you book one of our great live bands for your reception, we can then offer you several fantastic options for Pittsburgh Wedding Ceremony Music too! Sound Systems with wireless Microphones available for your Officiant & your vows. we’ll send you to someone who does. – Free. Plus you get access to online interactive planning tools exclusively for our Wedding clients – to help you plan your Wedding Ceremony & save your planning information privately to work on anywhere you are online!